His parents separated after his birth and his mother took him in, but he later spent time in orphanages. Charles Spencer Chaplin was one of the most creative entertainers whom had extraordinary athleticism, grace, and timing in the silent film era; he acted, directed, scripted, composed, and produced his own films with his own studio, United Artists. 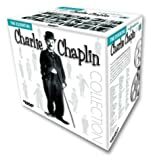 He was a comic genius and created the famous cane-twirling, baggy pants, and shoe shuffling with a black mustache character, Charlie Chaplin. Born into poverty his parents divorced early in his life. His mother tried to raise him and his brother. In 1895 at age 5 he stood in for his mother as a singer and performed for the first time in a music hall. In 1897 his mother succumbed to mental illness and he and his bother were sent to a workhouse for orphaned and abandoned children. His fame grew like wildfire due to his films being shown at nickelodeons for just a nickel. At Walt Disney’s Disneyland one can see some classic nickelodeons. Adolf Hitler adopted his mustache. In 1919 he founded United Artists, which is also the same time that Harry Houdini started acting in silent films. He was the first actor to ever receive a $1 Million dollar deal. In 1924 there was an event that may be true or rumor. While about a yacht owned by William Randolph Hearst he was intimately kissing Hearst’s mistress Marion Davies. Hearst saw this and shot at Chaplin but missed killed the guest of honor a producer celebrating his forty-third birthday Thomas Ince. It is well known however that Chaplin was having an affair with Davies. Davies funeral was attended by President Herbert Hoover who later in life lived in the Waldorf-Astoria Hotel, where he became friends with the son of Thomas Edison. On July 6, 1925 he appeared on the "Time" magazine and was the first actor to do so. In 1929 he received an Academy award at the first year of the Oscars for ‘The Circus. He also received a special award "for versatility and genius in writing, acting, directing and producing." On September 22, 1931 he met Mahatma Gandhi in London and they spent some time talking about supreme independence, which is where one sheds oneself of unnecessary things. In 1947 he worked on “’Monsieur Verdoux’ based on an idea from Orson Welles. In 1952 he hired Buster Keaton for a part in his movie ‘Limelight.’ Buster Keating got his nickname from Harry Houdini. In 1954, he was awarded World Peace Council Prize. In 1958 his name was removed from Los Angeles' Walk of Fame. In 1967, his last film ‘A Countess from Hong Kong’ starring Marlon Brando and Sophia Loren. In 1975 he is knighted by the Queen, to become Sir Charles Chaplin. Bill Gates III was also knighted under the same classification. In 1976 at the age of was 86 he was honored with an honorary lifetime achievement Oscar. His United States visa was however limited to 15 days and the Oscar was recycled from Marlon Brando who turned it down for his role as Vito Corleone in The Godfather. He has been portrayed in skits on Sesame Street where Jim Henson created many amazing puppets including Big Bird. In 1995 he was voted the greatest actor in movie history by a worldwide survey of film critics. December 25, 1977: He died on Christmas day following a stroke. He was buried in the village of Corsier in the hills above Lake Geneva. Just a few months later on March 2, 1978 his coffin with him in it was stolen by two men to extort money. After eleven weeks, on May 17, 1978 the robbers were captured and the two men were sentenced for seven-and-a-half years in prison. To prevent this from happening again he was reburied under six feet of concrete.